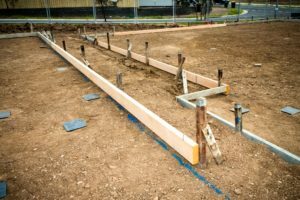 Screw Piles are a piling method used in foundation construction for residential, light commercial and mining applications. Katana Foundations’ piling range of products have been specifically designed and engineered to ensure the highest of quality and capability. 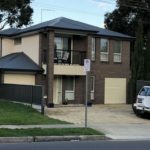 Our piles and extensions are manufactured in Brisbane to highly specified welding and assembly requirements under significant levels of quality control using all Australian 400 grade high tensile steel. Our standard 80kN (8 tonne) pile uses a 76mm diameter pipe with a 4mm wall thickness. Twin curved fins provide for superior ‘verticality’ and soil penetration with minimal pre-drilling required. The twin fin design aides our contractors in achieving highly accurate piling installations for raised flooring systems which rely on perfectly located piles. 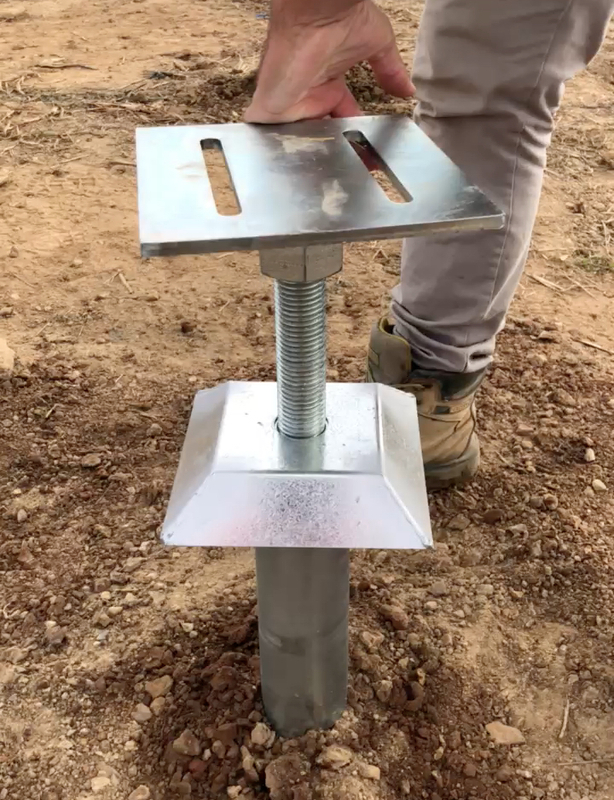 Screw Piles and their related attachments can be utilised across steel flooring systems, traditional timber bearers and joists and portable buildings. Connection between a pilot and extension for deeper soil penetration has been tested extensively in compression and uplift and well exceeds all minimum expectations. 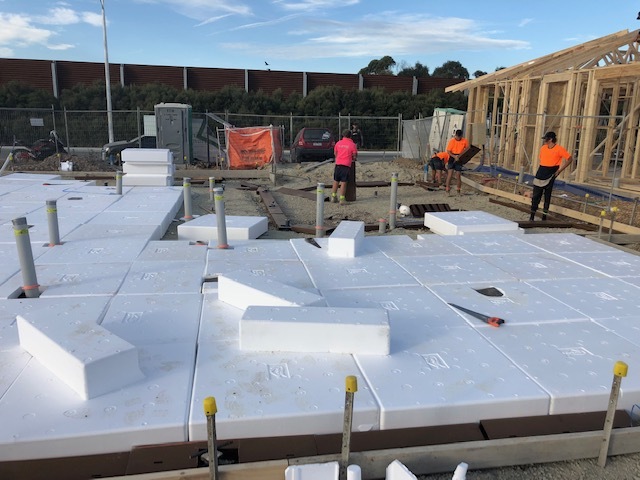 Our product range is currently available across most areas of QLD, NSW, VIC & SA with an ample supply stored in all serviced regions, ready for your next project. Installed only by highly accredited contractors. Given that Screw Piling might be new to some of our customers, we are pleased to be able to lend assistance in ensuring that our customers are well informed and confident about what we do, and how we do it. Using our proprietary Screw Pile technology we have developed a range of attachments facilitating various applications across foundation construction. 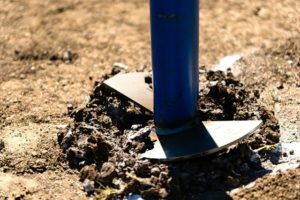 The Katana Pile Extensions provide arguably the industry’s strongest and straightest connection between a pilot and extension for deeper soil penetration. This connection has been tested extensively in compression and uplift and well exceeds all minimum expectations. 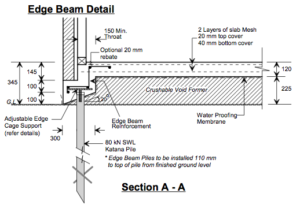 The Katana Poly Void Slab system with Katana Screw Piles offers the best protection for your building from soil settlement and heave. Our attachments and accessories have been engineered and tested to specific safe working limits, all of which are documented in our Katana Pile Product Specifications. Whilst we are not engineers, we have forged very strong alliances with a number of high profile structural and geotechnical engineers. We strongly believe that this independence from engineering and soil testing is the right approach in allowing our customers to use the services of whomever they prefer. For any assistance required by way of engineering, please CLICK HERE to contact us. With complete traceability of every pile manufactured by our Quality Assured National Manufacturer, Katana Piles & Extensions are the strongest, and most reliable in their class.